Licensed, professional two-way radios have made a huge impact to the way in which we communicate to each other throughout the decades. They have been providing great support in emergencies and operations. From schools to construction sites to security teams at festivals, two-way radios have always been the preferred choice over other communication devices due to it’s reliability and functionalities. In recent years, more and more people are making the switch to digital two-way radios. This is due to regulatory pressures and changes in real-world and industry needs. There are even regulations that make it compulsory for all new designs of two-way radios to be digital. This means, that one day in the future, nearly everyone will be using digital two-way radios. So it is vital to consider migration to digital now. But why is digital the future? 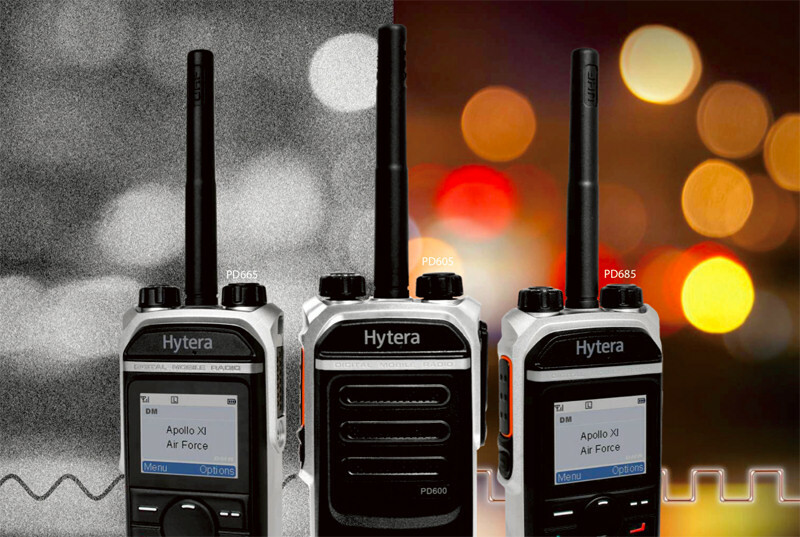 In this blog post we will be explaining to you 7 unexpected benefits of digital two-way radios. Digital two-way radios are naturally noise cancelling. This is through the use of codecs and other techniques. So staff working in a noisy environment such as a factory or a construction site can have clearer transmissions with each other. Possibilities are endless for the digital two-way radio. Digital radios send their messages in data packets and decoded at the other end of the transmission, whereas analogue two-way radios send their transmission over radio waves. Therefore it is possible for a whole range of data to be sent via digital two-way radios, such as; text, e-mail and in the future picture messages. Making this type of radios future proof for further developments in the two-way radio industry. All digital equipment works in both analogue and digital mode. The addition of digital radios to existing analogue systems allows progressive migration to a full digital system. This means that two-way radios can be upgraded to digital whilst preserving the investment into analogue two-way radios. Digital two-way radios are bandwidth efficient which accommodate two completely separate “channels” in one 12.5 kHz channel. This can therefore reduce your licensing fee. Digital two-way radios typically have a better battery life than analogue two-way radios. 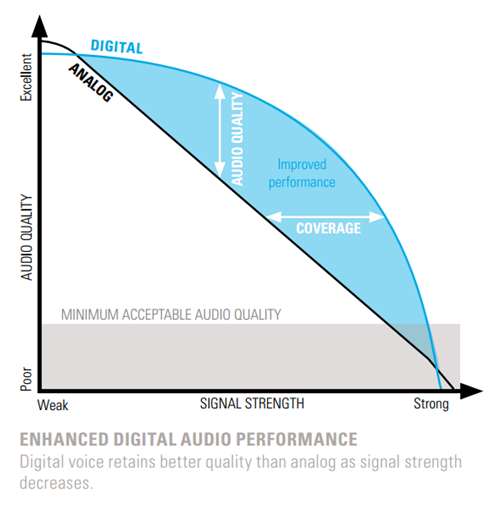 Digital radio transmissions are dramatically more efficient than analogue. This is particularly beneficial for heavy users of two-way radios as having digital radios can improve reliability. If you are interested in migrating your current analogue two-way radio system to digital then please contact us for a free consultation to discuss your requirements. Have a look at our previous blog post about how to migrate your analogue two-way radios to digital for some more insights.